Do you have kinesthetic learners? Kids who want to learn by building and through physically active play? Up! 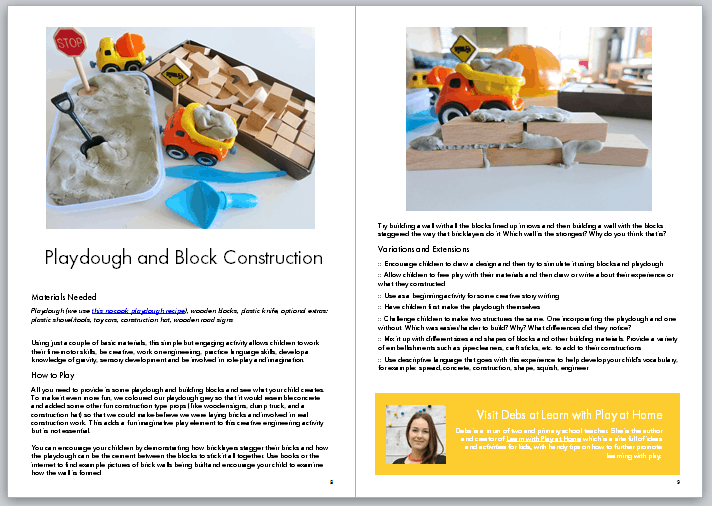 is an ebook of learning activities for kids who want to move and build. 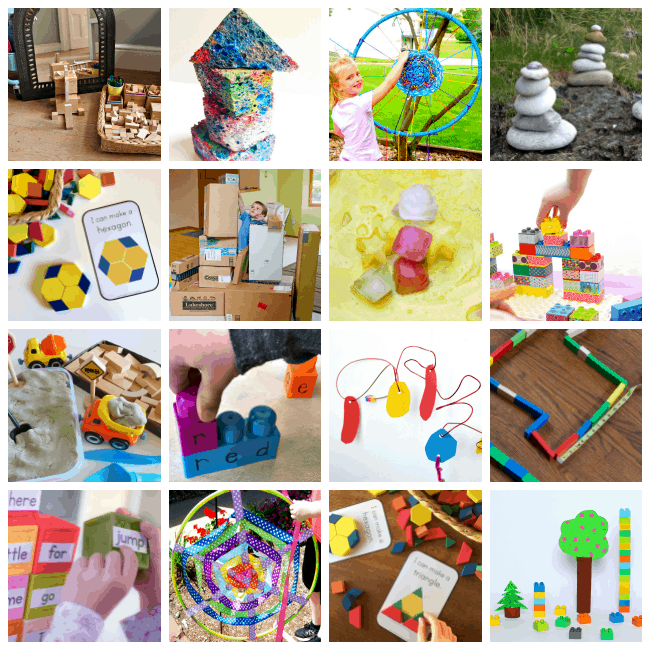 I’ve included links to three of our favorite kinesthetic learning activities at the end of this post. 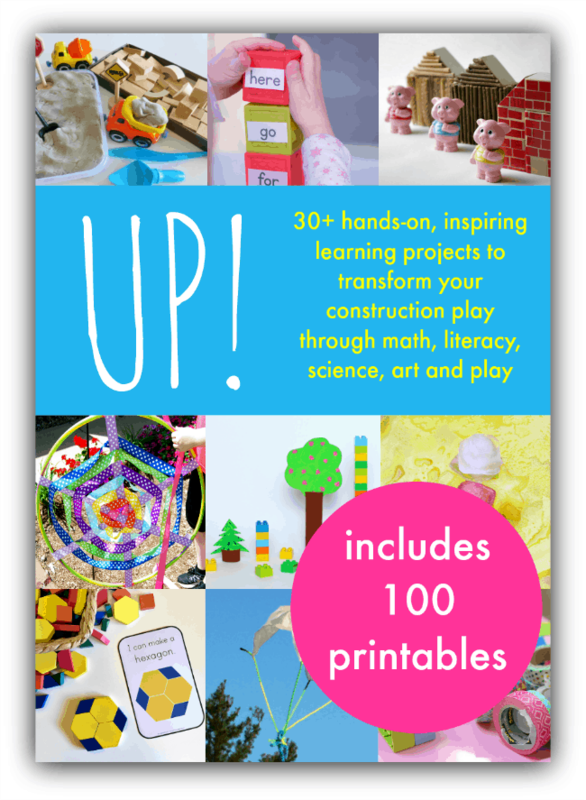 Today I am delighted to introduce Up! 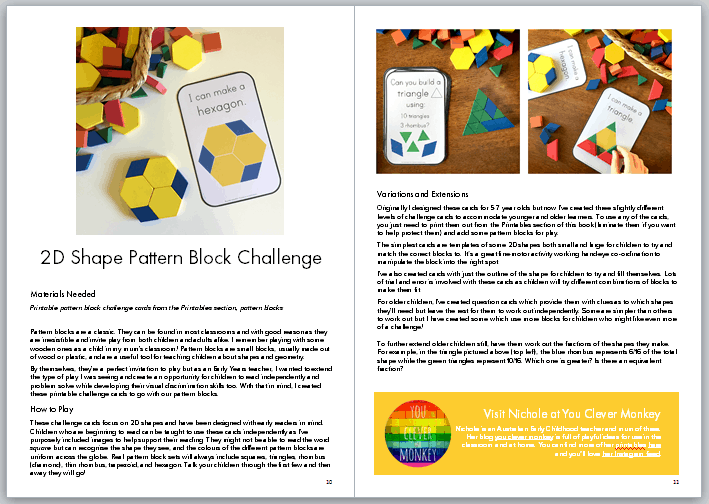 This ebook, created as a resource for parents and educators, is full of delightful learning for kids who want to build. 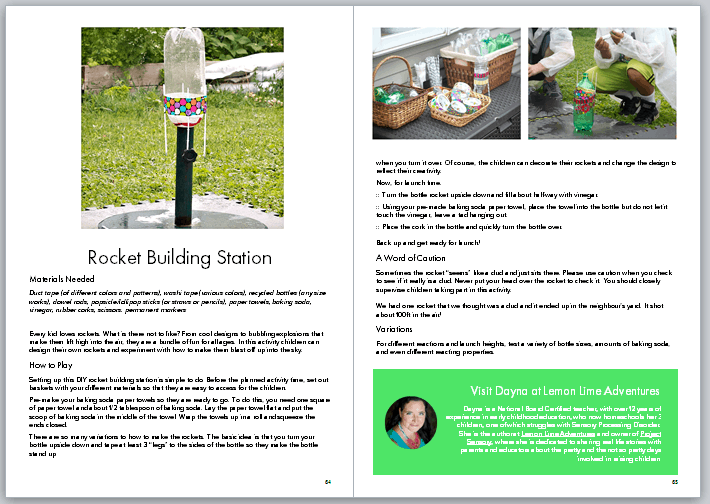 This book has some of the best educational activities for kinesthetic learners – kids who want to move and build as they learn – that I have seen. I’m proud to be a contributor. What Kinds of Activities Does This Book Have? Up! includes over 30 projects across math literacy, science, and art. It is designed to promote passion-led, project-based hands-on learning. 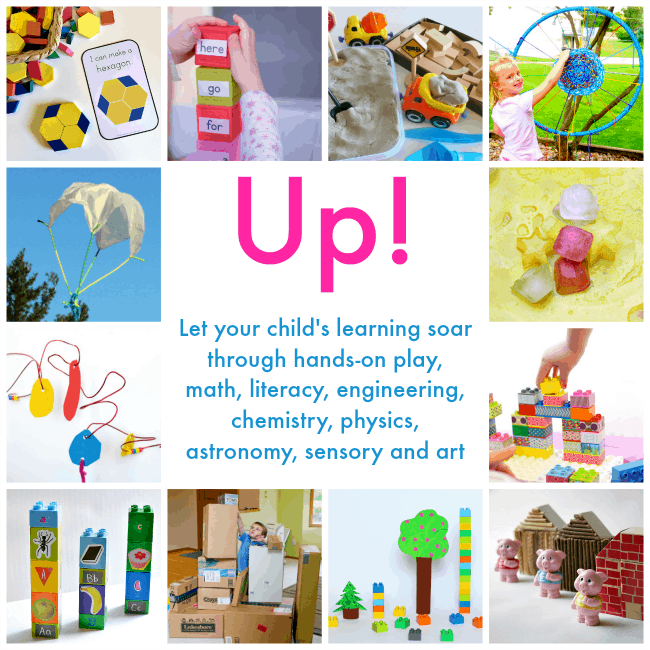 From block play to mobiles, rockets, airplanes, parachutes, and build challenges, there are activities to engage every child. These activities can be completed by children working on their own or through collaborative play and learning. The book is gorgeous – full of stunning photographs with clear, step-by-step instructions for each project. I have worked with Cathy James on several books now, and she is an impeccable editor who creates amazing educational resources for parents and educators. The activities in this book are wonderful for preschoolers through elementary school aged children. Some of the activities will need adult help or simplification for younger children. You can also adapt the activities to make them more challenging for older children. All four of my kids have tested out several of the activities in the book, with excellent results. What Materials Will I Need for the Activities in This Book? One of the challenges with ebooks is that you can’t just pick it up in the store and flip through the pages. Here are some sample pages to give you and idea of what the book looks like. This is an ebook. The button above leads to a link that allows you to download a PDF containing the ebook and all the resources. You can save it to your computer or iPad and then either read it on screen or print some or all of the pages. You can buy the ebook wherever you are in the world. Since payment is via PayPal, which will take care of any currency conversion for you. The ebook costs US$ 14.99, but is currently on sale for $11.25 to celebrate the launch. *You can buy the ebook now, on any device, and then download it when you are ready. Depending on your apps and your operating system, you might be able to download the ebook to your mobile device. I recommend you using a computer to download the book and then share it to your mobile devices. You will be sent download instructions when your purchase the ebook. The Up! ebook is published and sold by Cathy James at NurtureStore.co.uk. Please direct any customer service queries regarding purchases of the ebook to support@nurturestore.co.uk. The Up! ebook is protected under copyright © 2016. All rights reserved. Where Can I find More Educational Activities for my Kinesthetic Learners? Do you have a favorite educational activity for kinesthetic learners that my kids will enjoy? Share a link on my Facebook page, or tag me on Instagram! It was so helpful for me when I learned about different learning styles. Definitely have at least one kinaesthetic learner in my house! Learning styles are definitely helpful. It’s great that the materials needed are probably already in your home! You are getting new ideas of ways to play with them! Yes! I am a huge fan of using what you already own.